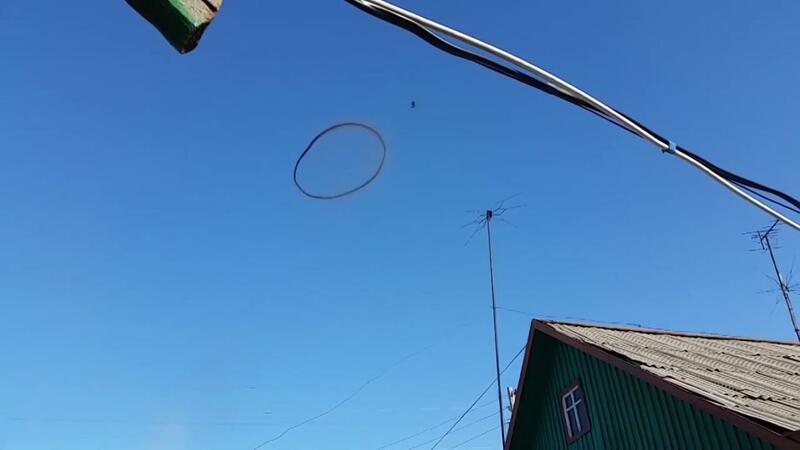 A video of a mysterious dark ring in the sky over the village of Shortandy, Kazakhstan left people puzzled and prompted a wave of speculation. 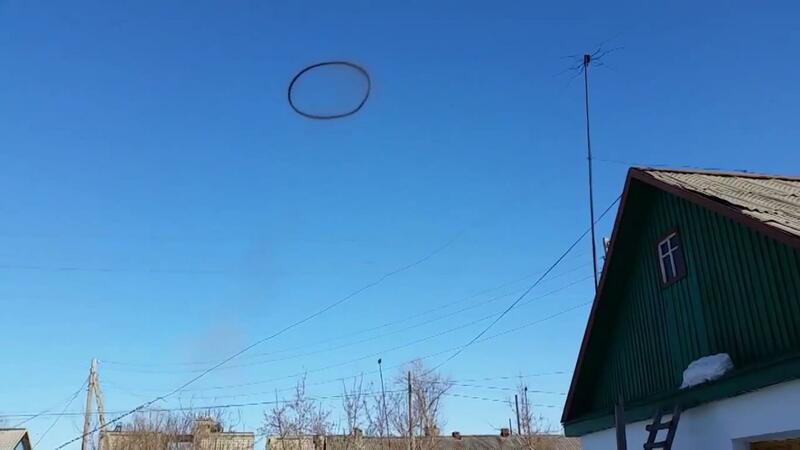 Some assumed that the smoky ring is the result of acetylene or fireworks explosion. 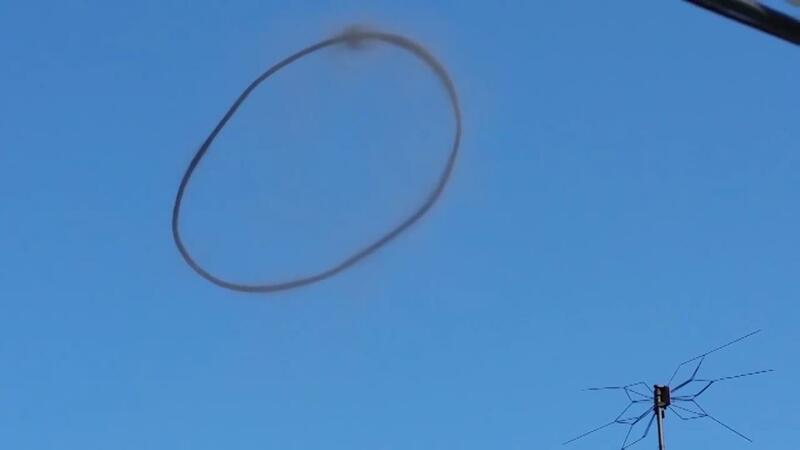 Others, blamed the phenomenon on the work of a Vortex ring device. In fact, this seems to be the result of an electrical transformer explosion. 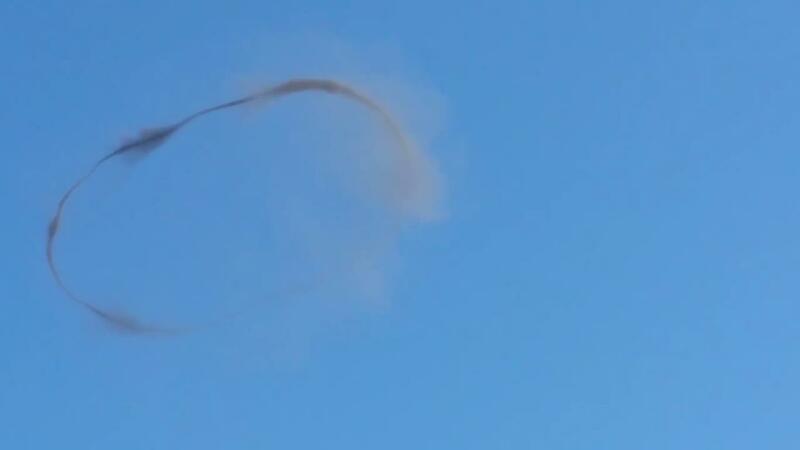 When electrical transformers explode, they produce some amazingly resilient smoke rings. In April, 2014 (exactly a year ago), similar phenomenon was observed in the sky over Leamington Spa in the central England.